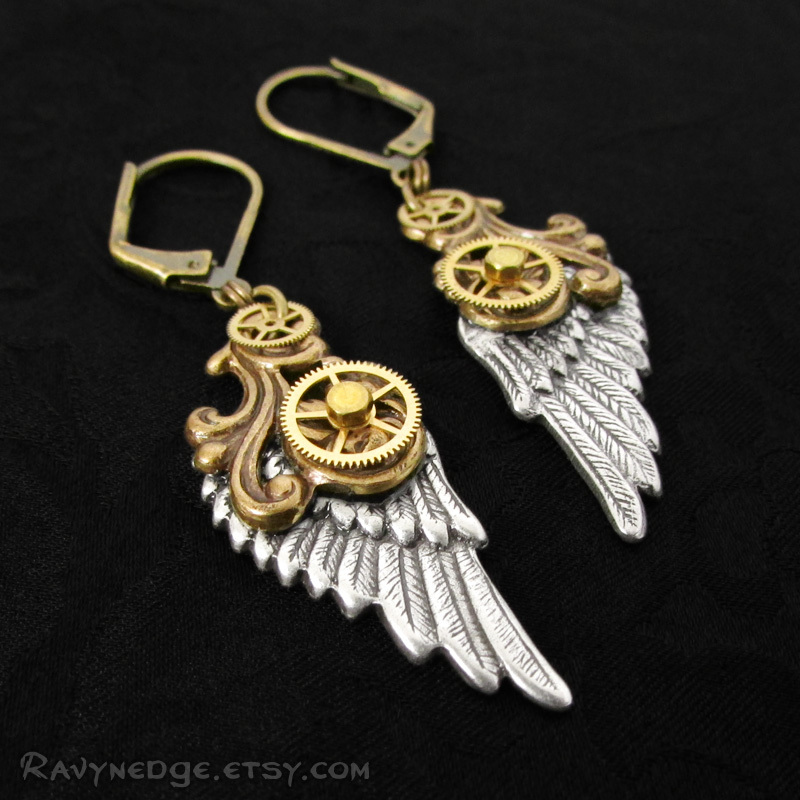 Mechanical Flight Earrings - Mixed Metal Angel Wing Steampunk Earrings by RavynEdge. 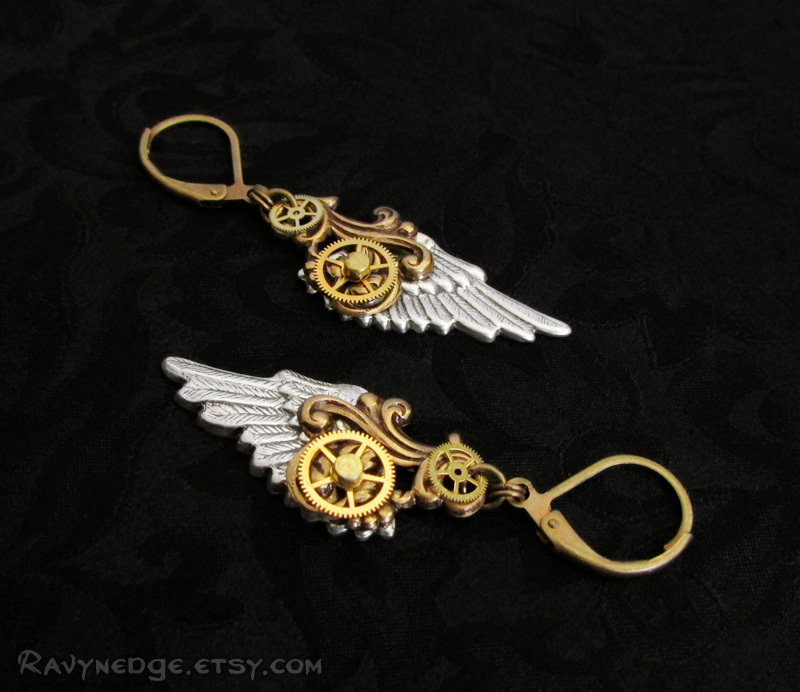 Enjoy fantastical flight with these mechanical wings made of brass and sterling silver plated brass filigree and accented with real watch gears! 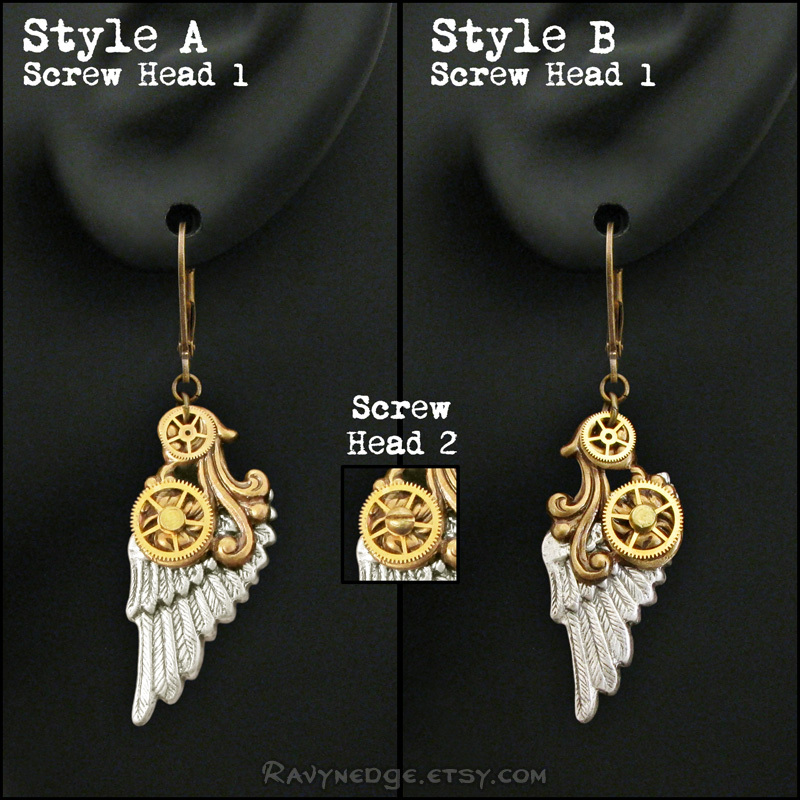 Measures aproximately 1.85 inches (48mm) from the top of the earwire. 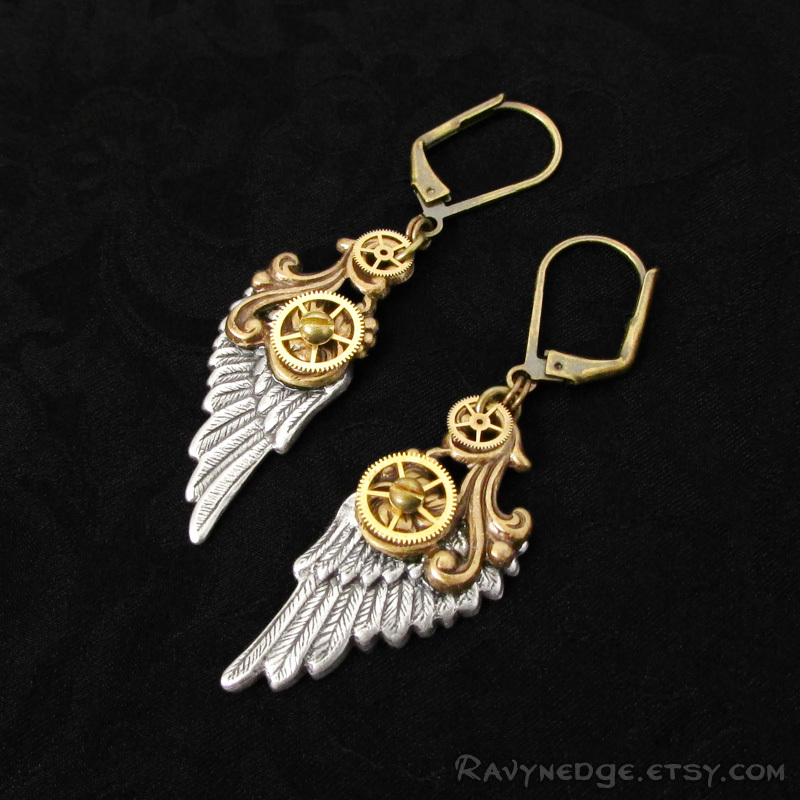 The earrings are made of brass and sterling silver plated brass filigree, oxidized to bring out the incredible details. Nickel free and lead free.